Since the announcement, there has been a flurry of activity, quite obviously the shows have stirred deep emotions, most posted on social media. It’s like one long roller coaster ride, twisting and turning, climbing and descending like, well, a slingshot from Mars. For me, it’s been quite a challenge to remain positive, take in all that’s good (and there’s a lot) and release all that’s bad ( people, really?). I wrote about staying lifted in Vol IV, sharing some things that work for me to keep my head above the muddy water. In an effort to shine light into the murky tide, here’s some more inspiration. Creativity abounds! The artwork, music and writing being birthed by our community is incredible. Folks have taken to scouring their archives for photos and memories of past shows and experiences for posting into various forums. It has been great to see and read your memorable moments in Grateful Dead history, man do I regret not capturing more of mine. It was difficult enough at times to keep tabs on myself, never mind a camera, but people did and I’m grateful for those who managed. Do you have some tasty pics? Please send them my way and let me know if it’s ok to post, or not. 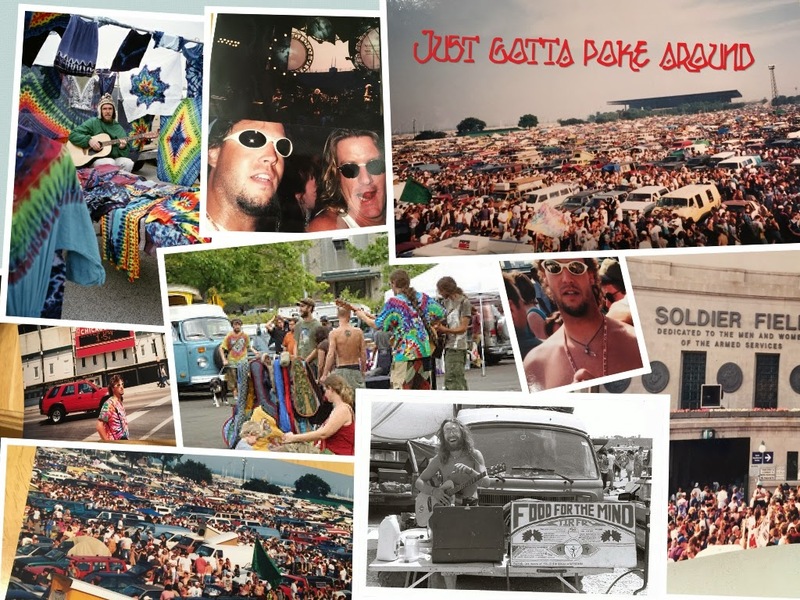 Shakedown Street never ceased to amaze me, and seeing your pictures brings it all back. One could find anything on the lot, good and bad, yet the creativity exhibited in food, clothing, swag, music is second to none. So many times I’d come out of the show and the sights, sounds and smells would hit me. Patchouli, weed, incense and the food, oh the food. Have you read this post about how Deadheads changed food preparation and consumption? I could go for a kind grilled cheese or veggie burrito right now. Shakedown became so popular that many fans of other bands started their own lot scenes that continue to this day. This is fantastic and a tribute to the legacy, I just wish they would come up with their own “branded” names for it. The art has steadily improved over time and the internet allows us to stroll the lot from our couches to snag goodies on sites such as Etsy, Amazon and ebay. 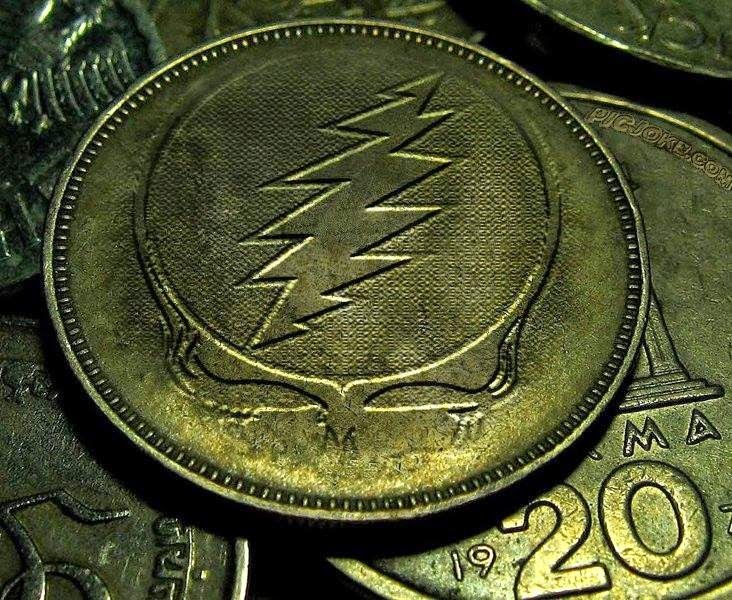 Buy some stuff and support the Deadhead economy. 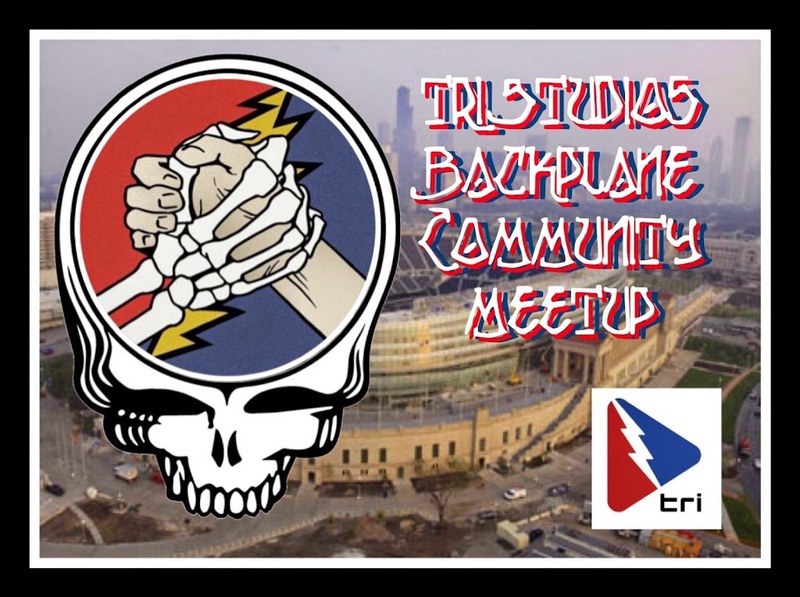 Come join me and fellow Deadheads on the TRI Studios Community! It’s fun, it’s positive (yes, believe me), it’s creative. We are in the midst of planning for a meetup in Chicago, come along and join the party every day! Go hear some live music – Go hear some local bands and support live music. On my radar, Jays Happy Sunshine Burger Joint, Phil and Friends, Scott Allen & Mars Hotel. Who are you seeing?